It’s been a very long day, and at 7PM, I’m making my way home. As for many of us, the commute will be long and I’ll most likely fall slightly asleep. An hour and half later, dinner is done and I really want to play a game, but my usual group is busy – some had even longer days and are still working, whilst others are with their family. There is still hope: board games offers many options to challenge yourself in solo. 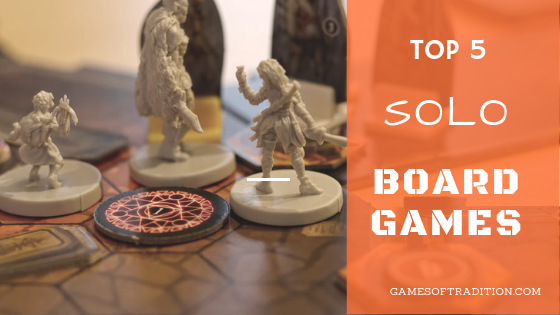 Let’s look at board games you can play by yourself in under 2 hours! The fastest – non magical – messaging system on the Discworld now has its own board game, thanks to Leonard Boyd and David Brashaw. Published by Backspindle Games, compete against the Post Master Moist Von Lipwig and deliver your messages quicker than him. 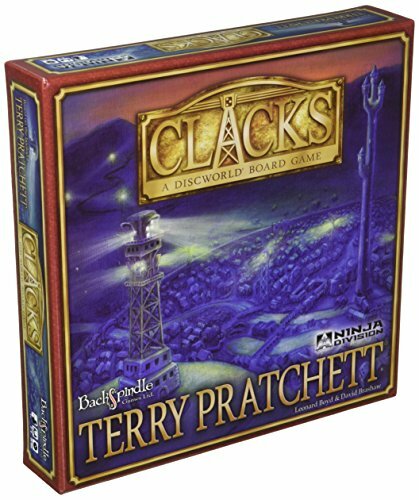 The backstory of this game is based on Going Postal, one of the 41 novels of Discworld, written by Sir Terry Pratchett. This game, played in about 30 minutes will put your brain cells in motion: every turn, you will draw tiles showing a specific pattern. Use them to turn on or off the lights of your clack. The shapes you will draw on the board will allow you to spell the letters required to send your message. Be quick and wise for the post man is never tired: you will want to deliver your message before he reaches his destination. This game, apart from his solo variant, will also allow you to compete against up to 4 friends, from 8 years old, or you may cooperate to beat the post office. Dice. Many dice. And quite a few cards. These are the elements that will allow you to fight tyrants in this Dice Builder Role Playing Game. The box is big, and heavy. But it will not take you more than a few minutes to set up for a solo game. Chose your Gearloc(s) and set off in an adventure to fend off one of the 7 tyrants terrorizing Daelore. The game is played between 8 and 12 rounds, depending on the enemy you’ll have chosen to fight. Your characters will live through events, allowing them to build their skills and find some gear. The path is dangerous, but the tyrant leading those hordes of goblins, orcs or even dragons undoubtedly is even more. Power up and make sure to defeat him before the time is up. Daelore relies on you! If you have not done it yet, you can read our full review of Too Many Bones on Games of Tradition. 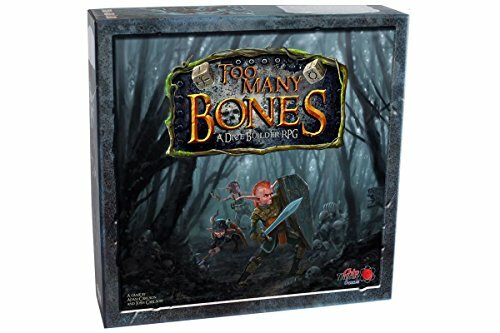 Too Many Bones will also allow you to cooperate with up to 3 of your friends to rid your world of the evil lurking. The difficulty will be adjusted depending on how many Gearlocs pack up to become heroes. Gloomhaven is one of those games that you either love or hate. 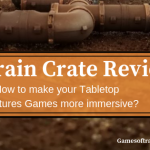 This is a role playing game, coming to scratch the itch of all of us who loved those video games, and want to remember the feeling to live an adventure on the table. To set up an adventure, you will need to locate the tiles and enemies that will be required. Setting up, and packing up, this game may be time consuming. Once you get used to it – or find better way to pack the box -, it becomes a breeze. Your hero, or heroes, set on a quest for adventures, and you will reveal the plot of the game as you play and progress through the levels. You will enter dungeons that you will rid of the enemies. Every of your characters will have his own deck of cards and skills, and as you fight, you will grow those skills. The experience you acquire will allow you to get new cards, and perform stronger attacks or spells. As you progress, you will also reveal new locations, new quests and new characters. Beware, your beloved characters may also die. Your actions will influence your next games. Each adventure will take between one and two hours to be played. 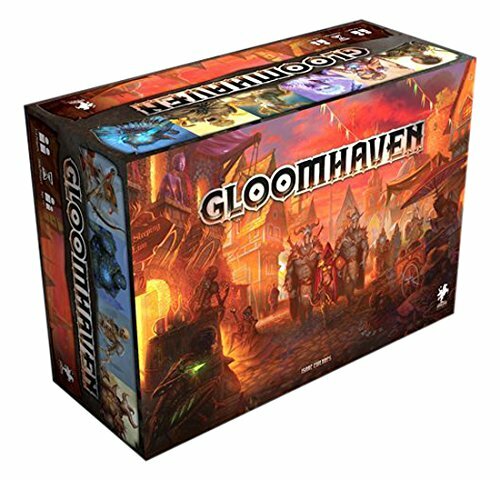 Should you want to play with friends, Gloomhaven will accommodate up to 4 cooperating players. Upper Deck Entertainments released in 2014 an Alien deck building adventure considered by many as one of their best Legendary so far. For those who don’t know Legendary, this is a game system where players will fight against the game, recruiting heroes with specific powers as they go. In this specific box, you may retrace the adventures of the 4 first Alien movies. Roll out the mat on the table, select the 3 decks of cards containing enemies, events, and artifacts for the adventure you want to go through. Select and shuffle decks of characters. Get your starting hand and you are set to play. Every round, you will push, face down, one card of the adventure deck and play your hand to recruit characters, reveal or fight enemies and go through your objectives, or die trying. Every adventure will take you about 30 to 60 minutes. 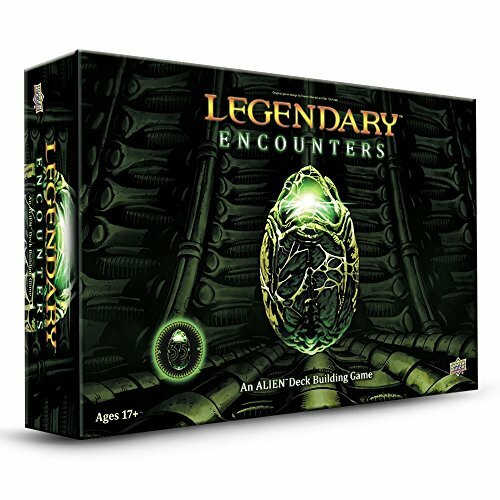 Legendary Encounters – an Alien deck building is one of the most immersive deck building game I have played. Up to 5 players may also cooperate to beat the game, and you may also play with a twist. A group of speleologists made their way in a very dark cave. They ventured farther than anyone had before them, but now… They have to make their way back to the surface. And they have to hurry as their lights begin to fade. And there is something in this cave. Something here to get them. In this tile laying game, you will play the 4 characters you will select and will do your best to get as many as possible up to the surface. Every turn, you will play actions for all of those characters, revealing your way as you go. After you are done, the monsters lurking in the shadows will move towards you, and you will reveal a random event, spicing up your adventure. Be sure to find the exit before you run out of events, and be careful that no one is left stranded in a tunnel! Sub Terra is usually played in about 60 minutes and you will have little room for errors as the challenge level is quite high if you want to save every one. 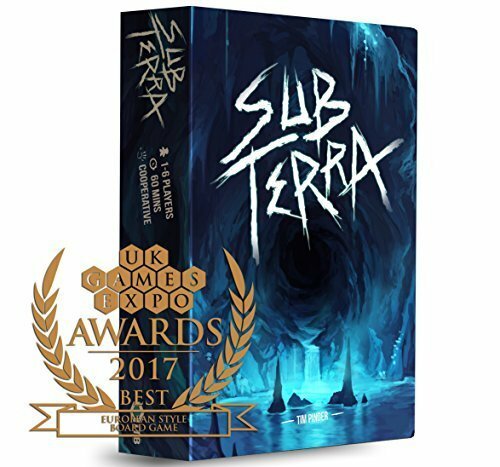 Sub Terra is one of my favorite games of the moment. You can read my review here. You may also host up to 4 cooperative players with this game.